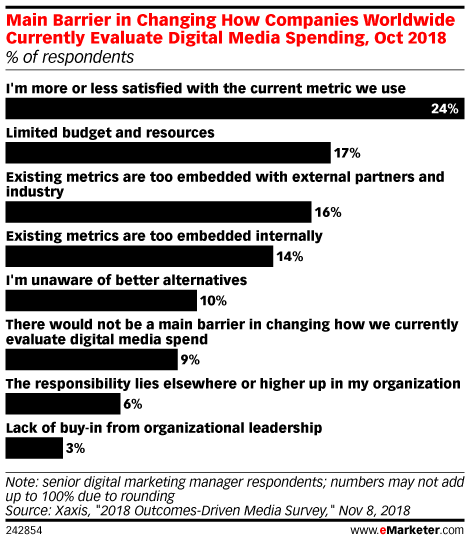 Data is from the October 2018 Xaxis "2018 Outcomes-Driven Media Survey." 4,798 senior digital marketing managers worldwide were surveyed online during September 14-October 4, 2018 by Censuswide. Respondents were from Argentina, Australia, Canada, China, Denmark, Germany, India, Italy, Mexico, Norway, Poland, Singapore, Spain, Sweden, UK and US. Xaxis is a programmatic media and technology company.